We were all elated when Hangouts finally gained the ability to make direct calls and text messages on Android. 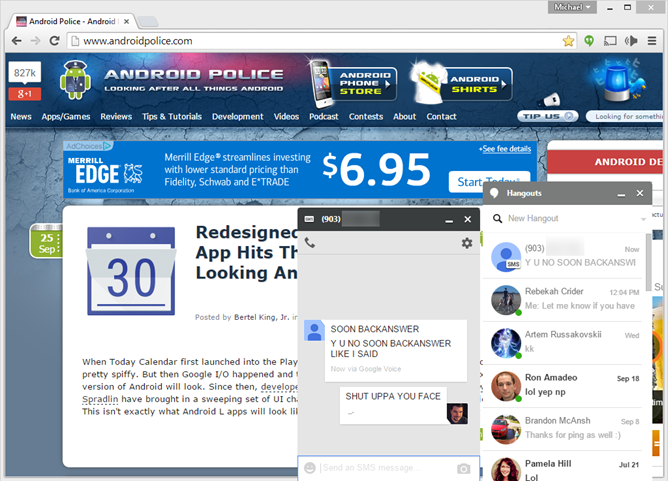 But that upgrade also seems to have broken a few features on the desktop (Chrome extension) version of the service: several users started reporting that they couldn't see incoming Google Voice text messages or recorded voicemails on their laptop or desktop computers, starting on September 12th. Good news, everyone: it looks like that problem is solved. 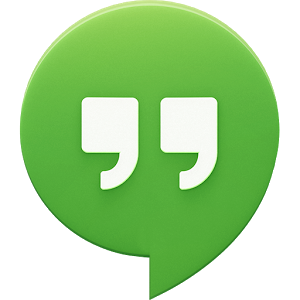 A Google community manager named Chris posted a reply in the original Google Groups thread, saying that the problem had been solved by the Hangouts development team. Affected users need to sign out of Hangouts and sign back in again to see the change - if that doesn't work, try clearing out your cache and cookies in Chrome. It seems to be working for me (see above). If you're still not seeing incoming texts and voicemails from your Google Voice number, remember that you need to enable the feature in the Chrome extension. Click the little arrow to the left on "New Hangout," then scroll down and enable the check box for the feature. Source: Google Groups - thanks, Robert!